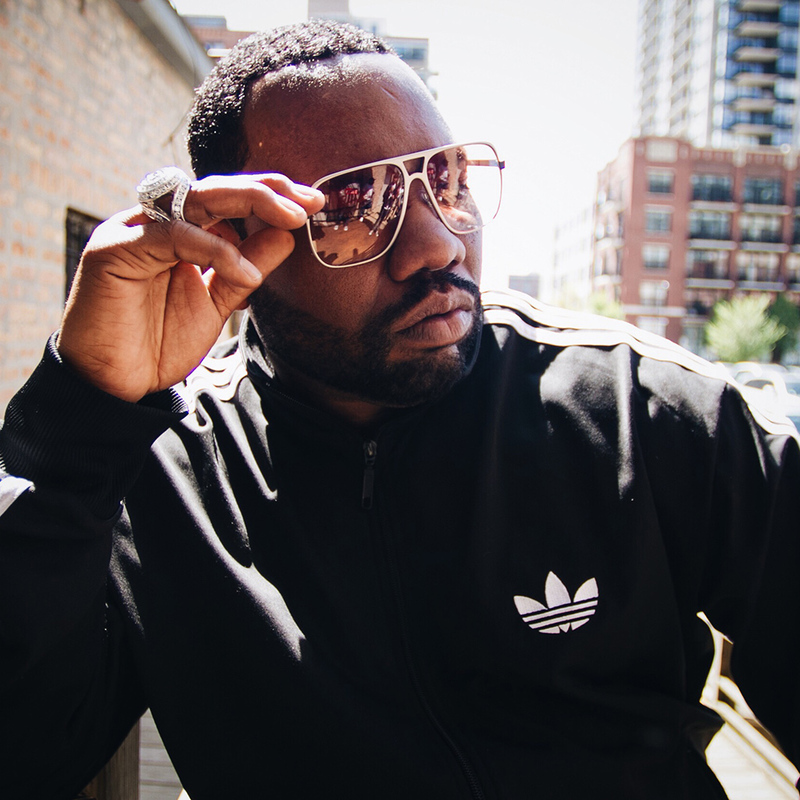 On April 28, Raekwon will drop his latest album, "Fly International Luxurious Art," 20 years after his acclaimed debut album, "Only Built 4 Cuban Linx," was released. Between this sixth studio album, plenty of world travel, kids at home and a documentary in the works, the Wu-Tang member is always cooking up something new, both in and out of the kitchen. The Chef sat down with us to talk about his inspirations, culinary visions and latest creations. How did you become known as Raekwon the Chef? My crew felt like I always had a certain kind of flavor. Lyrically, I was always coming with something different and switching it up. It had flavor. Back in the days, flavor was something we said in the neighborhood if it was something that was ill. So they came with the name Raekwon the Chef. My name was already Shallah Raekwon, but they added "the chef," and I took it because I felt like I was the chef to the group. I was the flavor that was missing at the time. When you have children you have to cook, and that makes you a better cook. I’ve been cooking since I was a kid. I come from a household of cooks. My moms is a soulful cook because she cooked behind my grandmother. My aunt was the baker—she’d bake cakes and pies. So my family pretty much was known for food. My moms cooked for the neighborhood—I’m talking right out the window. Serving food on plates, wrapping it up in aluminum foil, nice and hot, and then passing it through the window. What are some of your favorite food memories from growing up? When we grew up, I can recall tough times eating sardines and crackers, franks and beans, tuna fish sandwiches. If my mother had a couple dollars, she would make a lasagna. My moms was always trying to make the best out of what she had. I didn’t grow up on oatmeal—we ate grits, real Southern-style food. My moms would cook every day for us, but when we got older she told us to start cooking for ourselves. So at 17, I was already doing it myself. I knew how to make tuna fish with chopped-up eggs and pickles on the side. She would give us little hints. She said, “Son, listen—anyone can cook, but everybody’s food don’t have the right taste.” You have to season food to make it taste different. That was something that stuck with me and, later on, having kids—you make something and sometimes it’s a hit-or-miss with them, but flavor’s everything to me. What are some of your favorite things to cook and eat? My kids like basic stuff like spaghetti, chicken fingers or macaroni and cheese. I try to stay away from a lot of meat. Don’t get me wrong, I love eating good-quality meats from the butcher. Steak is always good, but it’s not something I eat all the time. My moms taught me how to bake fish, so I like baked lemon fish now. I try to put everything in the oven. But I still like that poppin’ fried chicken right off the grease. Yo, I listen to my chicken—I’m like TSSSSS! It’s ready! Chop it up, put some hot sauce on it and that is a meal right there! I like tacos and burritos and all that. And then of course I like my pizza and pasta. I’m big on that. Us New Yorkers, we love pizza… We used to play sports back in the day, when I was a kid, and we would do anything to win the championship because if we win, we’re going to the pizza shop. So we’d fight for that—to make it to the pizza shop! Have you had any memorable meals while on the road lately? I go to London a lot, and every time I have to get West Indian food. When I was growing up, a lot of the West Indians came into the neighborhood, and they made things like shish kebabs to curried goat, curried chicken and jerk chicken. It was a real good plate of food. Even to this day, I’m still infatuated with the culture of their food because it’s so simple but delicious—potatoes, rice, chicken, a good sauce on it. One day I envision myself having a great restaurant. I was going to do one about five years ago, but just when I was going to do it, my moms got real ill and it just wasn’t the perfect time for me to get involved. But we’re gonna get a restaurant one day, and it’s going to be multicultural cuisine because I like different kinds of food. I love my Chinese, Japanese, Thai, Indian, West Indian, soul food—and there’s other dishes too that I’d love to have all under one roof. I’d probably do it somewhere like Vegas. Somewhere where the rollers could come in and feel good about something new, you know? Right now, I’m still doing my music thing constantly, but I do have visions of being in the culinary world and doing something dope. Can you talk a little bit about your upcoming album? This is another meal from the Chef. One thing about me: I always like to give my fans a different meal every time. It’s called "Fly International Luxurious Art"—the acronym is FILA—and it’s just a place where I’m at mentally on wax. Being in the game for 20 years, it just made me a better artist. It made me understand where I want to go with the direction of my music. I’m still being creative, and this is my luxury art that I give you on wax. I still challenge myself to give you guys something different every time. My last album before this was called "Shaolin vs. Wu-Tang," which was totally left field from this. This album is filled with a colorful cast of people that deliver great music, rhymes, lyrics. This album has it all, and it’s a powerful piece.